This event just gets better every year. It's a physically demanding, it's hot, and it's difficult. And I seriously love every moment of it! 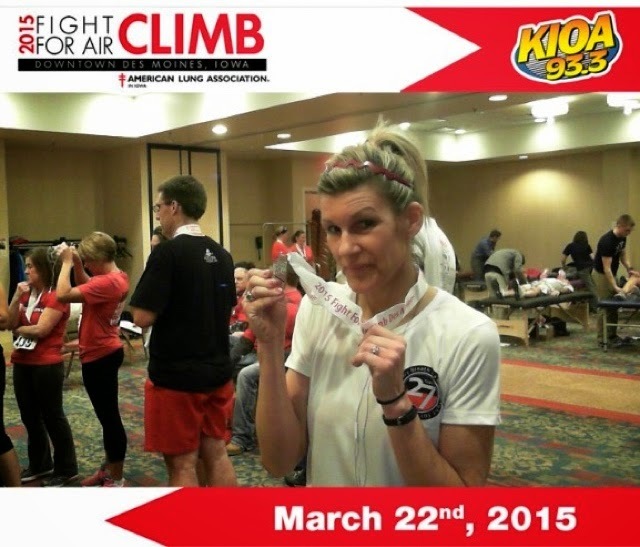 The Fight for Air Climb is affiliated with The American Lung Association. It's a national event that has venues in 65 cities throughout the United States. This was my fourth Climb. 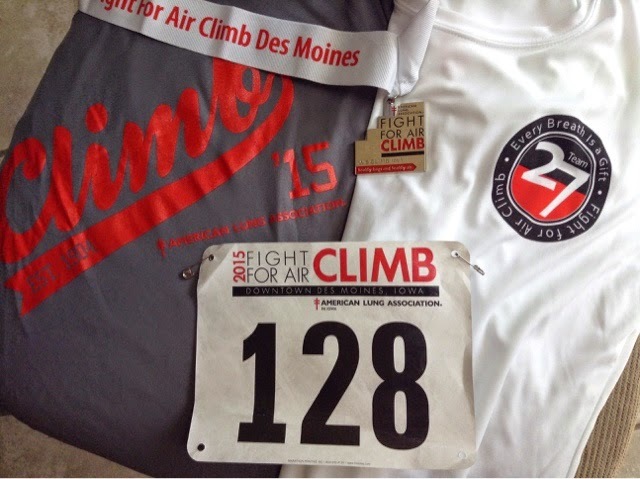 I did the Des Moines Climb in 2013 and 2014, and did the Chicago Climb in 2014 as well. I routinely do a lot of stair-climbing for cross-training, and didn't do any "specialized" training for the Climb this year. In years past, I would do extra sets of 100 doubles (taking the stairs by two's) or 50 triples (taking the stairs by three's) in order to prep my body for the event. Since I've been doing a lot more lower-body cross-training (and yoga) in recent months, I didn't feel the need to do anything different. This year, a fourth building (the Ruan Center) was added to the Des Moines venue, increasing the number of flights of stairs from 61 to 93. I wasn't worried about the extra building being added; in fact, I welcomed the challenge. I knew what it felt like to climb the 61 flights of the other three buildings, and after doing the 180 flights in the Chicago climb last year, I knew I could do it. All participants have the option of climbing one, two, three or all four buildings, but they have to climb the buildings in sequence. The first building was the EMC Insurance Companies Building, which has 15 flights of double stairways (each flight is split...8 or 9 steps up in one direction, then 8 or 9 steps in the other) between floors. The second building was the Hub Tower, containing 18 flights (also split stairways). The third building (the "new" building added to the event this year) was the Ruan Center, bringing with it 32 (count 'em, 32!) flights of stairs (split stairways also). The final building was the Des Moines Downtown Marriott (the host site), which had 28 flights of stairs (the first couple flights are split stairways, and the remainder flights are single stairs of 12 steps, with a landing to walk/run around and continue up directly over the previous flights). All of these buildings are connected by the Des Moines Skywalk system (and are in very close proximity to each other), so the entire event is indoors. I am always amazed at how well this event is organized. There were upwards of 1200 people who climbed this year, raising over $246,315 for the American Lung Association. All participants are required to raise a minimum of $100 (in addition to the registration fee). The event is chip-timed, and participants receive a tech shirt, plentiful food, and a medal at the finish line. Returning climbers receive an alumni pin (for their 2nd, 5th, and 10th years), and also can get an "I Beat My Time" ribbon if they climb with a faster time than in previous years. My first year, I did the Climb on my own. This year (and last year) I was part of a team, Team 27. 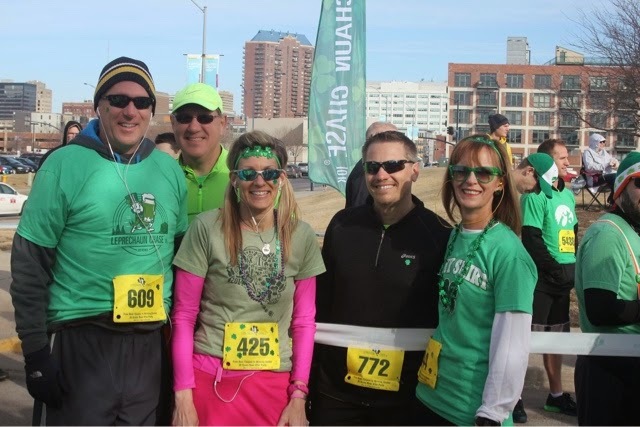 The team was formed in honor of Tom Muselman, a Des Moines area banker, who was the recipient of a double lung transplant in 2009. Team 27 is, hands down, the biggest team at the event. This year, there were over 100 members from Team 27 climbing the stairs (raising over $33,008), including Tom himself! Unlike a road race, where everyone starts at the same time with a gunshot, The Fight for Air Climb has all of the climbers assigned to waves. After all, it would be a fire hazard to have everyone in the stairways at the same time. As each wave is called, the climbers line up and are escorted to the first staircase. The climbers are allowed to start in (approximate) 10-second intervals. It's incredible being there. As we were escorted to the first building, there were numerous volunteers in the skywalk, all of them cheering for us (and we hadn't even started climbing yet). The first building always seems to go great for me...at least the first 10 flights or so. I usually start out taking the steps by two's, and going fairly fast. By the time I've reached the 10th floor, though, I can feel gravity taking over. I was able to continue taking the steps by two's, but needed to slow down. My quads felt strained, my throat dry, and my breathing labored. I made it to the top floor. Volunteers were clapping, some were high-5'ing us. I grabbed a cup of water and followed the arrows to the elevator. As I waited for my turn to head down, I was reminded how tough this challenge really is. Not only on my legs, but also for my lungs. Once off the elevator, volunteers were waiting to direct us through the skywalk to the next building. 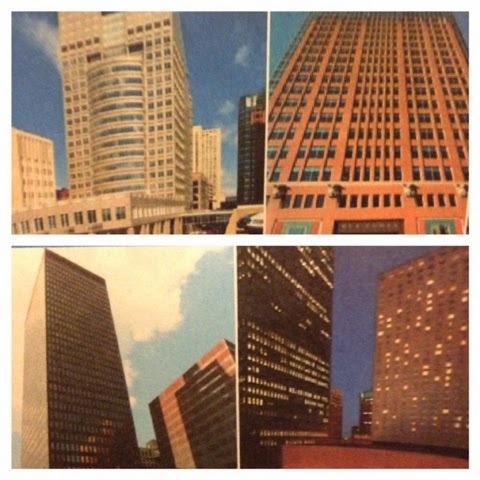 Some Fight for Air Climb venues take place in a single building (in cities that have actual skyscraper-height buildings). An advantage to having the total number of flights divided amongst more than one building is that you can catch your breath in between the buildings. If the climbers did the 93 flights of continuous stairs, they'd have much slower finish times (the timing chips are activated through the doorway(s) as you enter and leave the stairwells). The second building went well. I had written out my finish times from each of the buildings from previous years, so I knew I was on track to at least finish the "old" buildings faster than last year. Before I knew it, it was time to climb the "new" building. This building had the most floors, and Ashley (who had climbed earlier in the morning) had warned me this was the toughest of the four buildings. As mentioned, the third building had 32 flights of stairs...and all of the stairways were divided, meaning it felt like we were climbing 64 flights! My forehead was sweaty, my back was damp, and by mouth was extremely dry. There were a few water stations along the way to the top, and numerous volunteers in several of the doorways cheering. There were motivational posters on almost every landing, as well, which were just like the ones you see along a race course. As I was nearing the top, I passed a kid on the steps. He had paused, and was trying to catch his breath. I asked if he was feeling alright, and he said he was good. He got up and followed a few steps behind me. A short while later, he noticed my "In Honor Of" bib had fallen off and grabbed it and stuck it back onto my back (the bib soon thereafter disappeared...I should have pinned it on. #mybad). Finally, I reached the top and exited the stairwell. Holy Climbing, Batman! That was t.o.u.g.h. Whew! I grabbed a couple cups of water and took my time walking to the elevator. All of the others waiting for the elevator weren't standing, but leaning against the wall. Finally, the fourth building. This building is where I've really rocked the last two years. It's probably due to the fact that I've gotten warmed up, most of the stairs are a single straight-away (no pausing to constantly change direction on divided stairways), and this stairwell is located on the outer edge of the building (rather on the interior), so it's much cooler. Case in point, I climbed the 28 flights in 5:30 (2:17 minutes faster than the 32 flights of the third building). All of us on the elevator down were talking about how difficult the third building had been. Conquering that third building felt pretty incredible,though. If this was an easy challenge, everyone would be doing it. 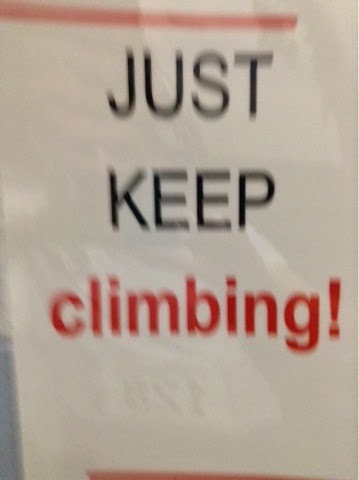 And it wouldn't mean as much for having climbed it. The volunteers really make you feel like an Olympic athlete. As we left the elevator, we were greeted by a continuous row of people clapping, cheering, and high-5'ing us as we made our way back to party central. We were given our medals and some received Alumni pins. All of us were handed towels, and all of us gladly used them to wipe off our sweaty faces. My finish time on my watch said 20:45, and I was satisfied with that. I had climbed the three buildings in 13:58 (2013) and 12:43 (2014), and I knew my time would reflect the fourth building this year. I met back up with the family, and grabbed some water. As we were heading out, I stopped by the results table, and got my printout. It wasn't until we were in the car, driving away, that I realized my official time was 20:26! Subtracting out the 7:30 from the third building actually gave me a time of 12:39...which was faster than last year! Had I figured that out before leaving the premises, I could have gotten an "I Beat My Time" ribbon. Oh well. The satisfaction in knowing I have climbed faster every year is good enough. 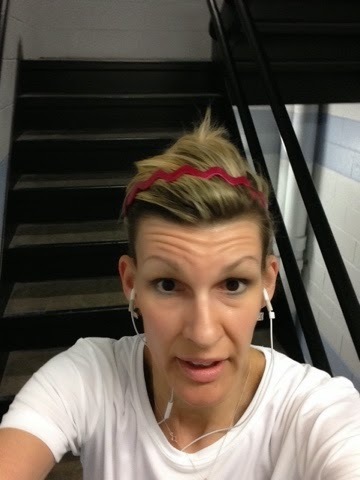 Some of my stats: There were 808 participants who climbed all four buildings, for a total 93 flights of stairs. 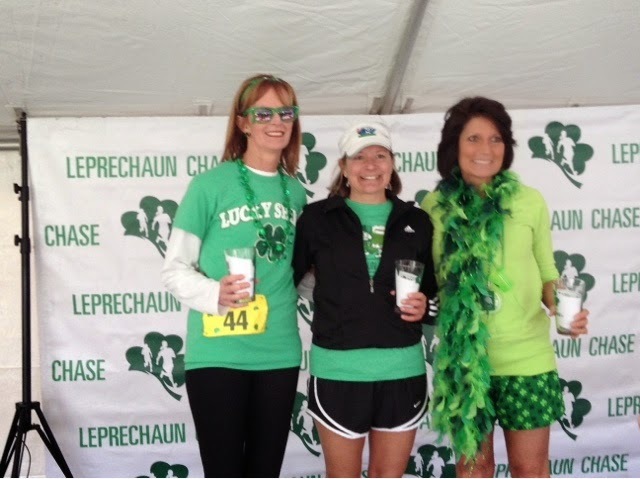 I finished 215th, which was good enough for placing 4th out of the 33 women in my age group. 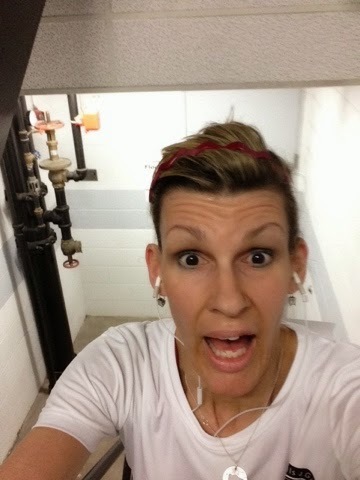 The gal (in my age group) who got first place climbed the four buildings in 18:02. The second place gal (19:59), the 3rd place gal (20:14) as well as the 5th place gal (20:43) were all in pretty close competition with myself (20:26). I got stuck briefly behind three gals in the first building (who were all within a couple steps of each other, making it difficult to pass them), and I did pause a few times to take some pics in the third building....so that could have been the 12 seconds difference between the myself and the 3rd place gal. Oh well, it's not my first 4th place finish, and probably will not be my last. Myself and these other gals all climbed at different times...so none of us were in a heated race at the same moment in time. I totally love this event because it's so challenging. There's also a Law Enforcement Challenge and a Fire Fighter Challenge...and seeing those climbers in all their gear is quite impressive and humbling. The entire crowd gave them a standing ovation as they lined up and left for their turn on the steps. Have you ever participated in a stair-climb race? Are you a Fight for Air alumni climber? I'd love to hear your story! Ever been chased by a Lad? I have been! Even with a 5-minute head start, myself and fellow Lasses couldn't hold our ground. 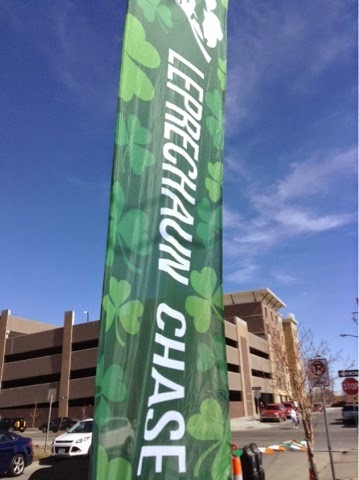 The Lads passed us and won the race, earning all of their fellow Lads a complimentary green beer. Follow that? 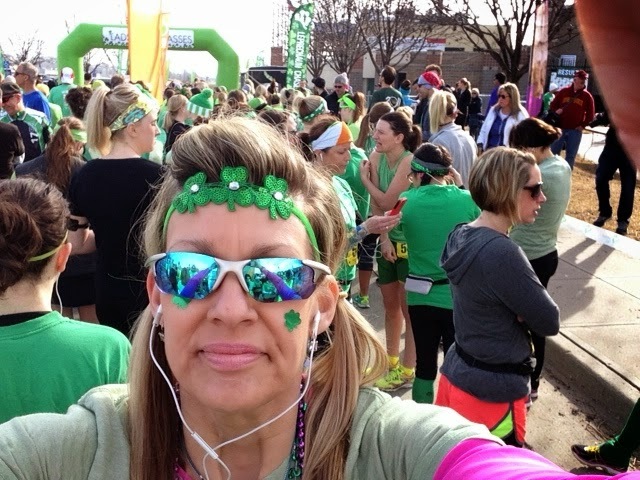 I'm talking about the Leprechaun Chase, a 10K race that happened on Saturday in Des Moines. This was the event's third year (there's also a Chase in Omaha, sponsored by the same organization, that was held the weekend prior). What makes this event so unique, is that the girls (the Lasses) get a 5-minute lead before the the guys (the Lads) cross the start line. 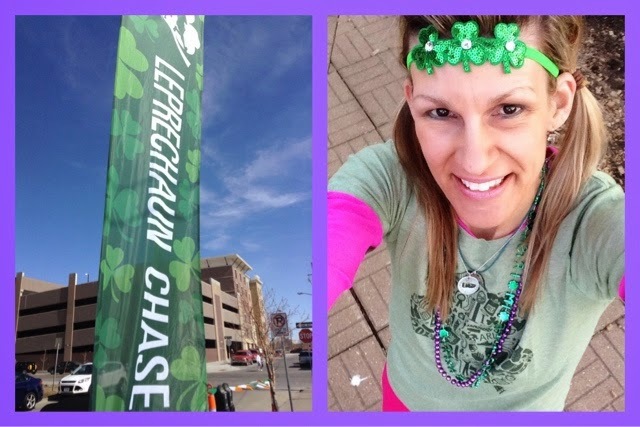 I ran this race last year, and (despite last years wind & somewhat chilly temps) I wanted to comeback and try for a faster finish time...and this year, it was held on my birthday. So, yeah. It's not everyday my birthday falls on a Saturday, let alone the same day as a race. Several of us were on a team, the Grinnell Lads and Lasses. I rode up with Barb and Bill, and we met up with some of the others prior to the start of the race. The weather was absolutely beautiful! 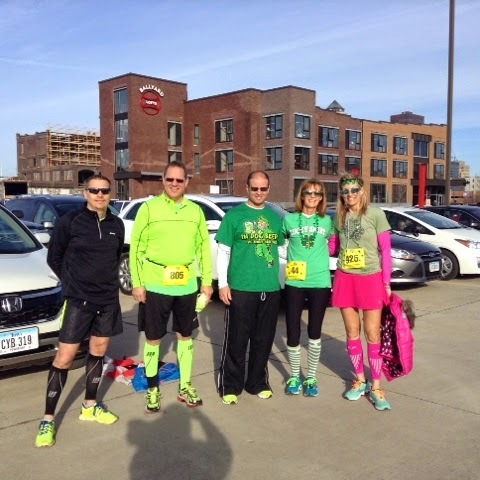 It was in the mid-40's or so (with some wind out of the north) prior to race time, but almost 60-degrees when we headed to the post-race party. Race time wasn't until 10:00, and we arrived with plenty of time to secure a close parking spot and take our time prepping for race. There were no lines for the porta pots, so we did our business, took some pics and walked around. It was another one of those "tricky temperature" situations, though. 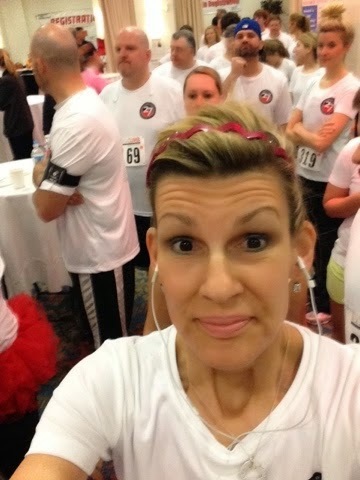 I was dressed in a running skirt, calf sleeves, and a long-sleeved top layered under last year's event shirt. I also had a puffer vest along, and debated (briefly) about wearing it because it felt pretty cold with the wind. Last year, it was colder and windier, and (at the last minute) I elected to wear a vest over my clothing. I was not over-heated, but I would have been fine without it. So, I made the command decision to go without the vest this year. Wow! Look at all the green! Before we knew it, it was time to line to up (the Lasses and Lads in their respective lanes). The National Anthem was played, and the Lasses were off! Barb and I hung together for most of the first mile, but I was already feeling some nagging piriformis tightness. Usually, it loosens up after the first few miles...so I took a gamble and tried to stay with the gals towards the front of the pack (BIG mistake). Also, I didn't warm up much, so it felt like I really had to force my left leg to propel forward (seriously, this was not my first race, apparently I need to relearn this warming-up lesson). In defense of my lack of proper warming up, though, I have had several good runs lately, with minimal (if any) stiffness....so I (optimistically) thought all would be well. Also, I probably should mention the GPS fail with the new watch. It's no secret I'm very challenged with my technology skills and expertise (or lack there of). I've had this watch only a few days, so I have not had much opportunity to figure out the bells and whistles. I got the GPS secured on it right before we lined up. Upon the count-down, I noticed it said "No GPS," so in a split second of panic, I started pushing buttons...and I tried backing out of the current menu so I could start over...nothing was happening...I pushed a few more buttons....still nothing....so I settled on just utilizing the stopwatch function (I've never been one to worry about my on-going pace stats anyways). As I was crossing the mat at the start line, I hit what I thought was the start button on the watch...and the current time of day appeared....What? Where was the stop watch? So.....needless to say, I did not have the "stop watch" function to accompany me on this race. Worse things have happened. 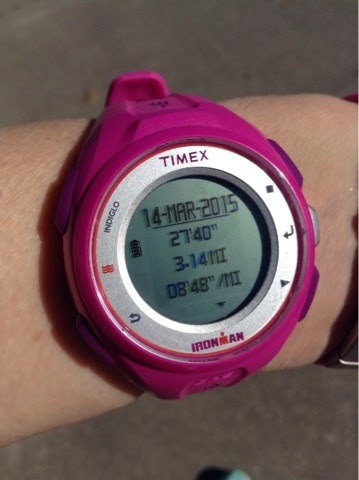 I used the "regular watch" time to monitor my pace at the mile markers....not ideal, but it worked. Anyways, the first mile was tough. I could feel Barb had inched slightly ahead of me, and I could feel myself plateauing. I glanced at my watch at the first mile mark, and it said 10:08 (not sure what the seconds were)...which kind of surprised me. I knew I started out too fast, but with all the extra effort it was taking to keep my body moving I didn't expect to be running an 8-minute pace (that doesn't happen until a few miles into a race, if at all). I tried to slow down some, but it was difficult with all the fast Lasses along beside me. The first mile was also pretty cold, we were running west and that north wind was chilly! I spotted the first of the speedy Lads about halfway between miles 1 and 2, as I was coming back from a short turn-around. They passed me just before the second mile mark, and my watch was showing 10:17...so my pace had slowed somewhat, but still was well under a 9-minute pace. 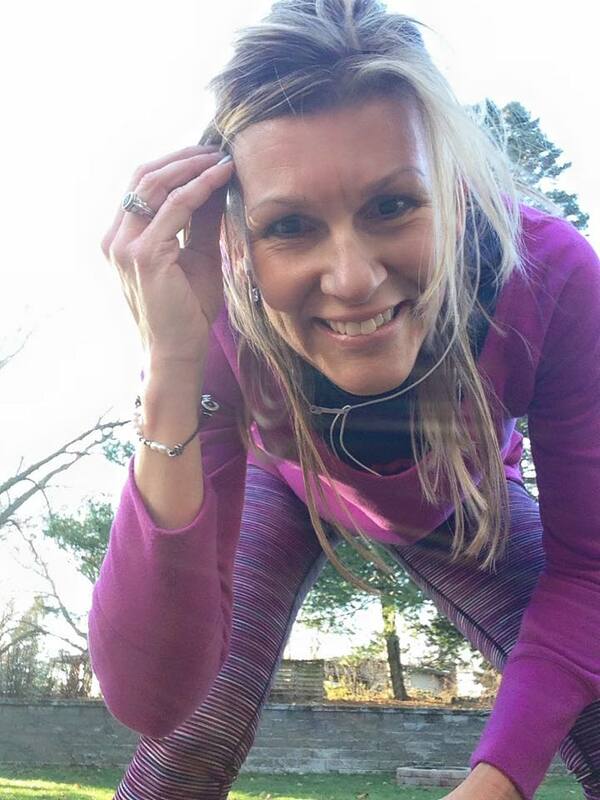 I was running much faster than what it felt, given the constant tightness of my posterior. Shortly after the 2-mile mark, we turned onto Martin Luther King, Jr. Parkway and were headed south, towards Grays Lake. Ah, what bliss to have the wind (finally) at my back. This part of the course took us into Grays Lake Park, and around Grays Lake itself. 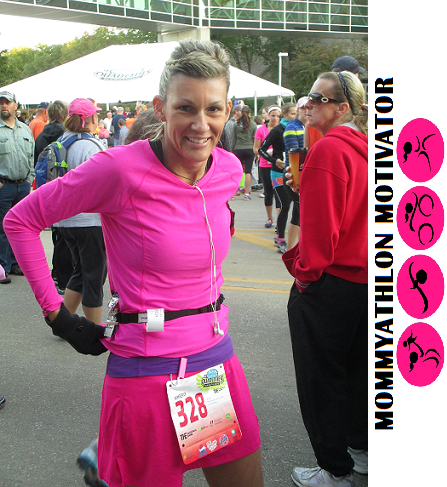 I have done several different races in Des Moines, and a lot of them utilize this very route in one capacity or another. I made it to the 3-mile mark (secretly a little relieved to be almost halfway done), and my watch still showed my pace was keeping steady (and still under a 9-minute pace). But the tightness was still there. It was easing up, but the stiffness persisted. The weather was felt much warmer, though, and the wind was somewhat sheltered from us. I was pretty thankful to have left the puffer vest in the car. I made it to the 4-mile mark, still somewhat in pain and still amazed that I had been able to keep my pace steady. I had forgotten to look up my finish time from last year, but had hoped to set a PR this year. It would be great to set a new 10K PR, but given the circumstances with my piriformis issues on race day...well, the odds were pretty high that would not be happening. The fifth mile was straight east, into the sunshine. and along a brief segment of the Des Moines River. I did a lot of thinking during those final miles. It's frustrating to have these aches and pains, even after easing up on my mileage over the winter. Granted, the aches and pains are not there for every run (and most times are not so severe), but they make my race more challenging and difficult in comparison with all the others who are pain-free on race day. But, alas, this is what I have to deal with at the current state of my running and racing. Things could, indeed, be so much worse. I am mindful of all the good things that come from facing challenges...the main one being that I do not take any of the "easy" runs or races for granted. So, onward! As I was rounding the last corner right before the finish line, I spotted Barb and she spotted me. She clapped and cheered for me, and told me to "finish strong!" So I did. Truthfully, that entire final mile felt better than the previous five. Wouldn't it be great if we could run each mile as if it were our last? I glanced at the clock as I crossed the mat, and it read 54:57. Not my fastest 10K, but better than I was expecting to finish. I immediately needed a few minutes to massage some of the tightness away, and a few easy stretches to loosen things up. Those first few steps always feel a little awkward, and stopping at the porta pots does not help. With the race over, Barb and I met up with the rest of our friends. More pics, and then suddenly everyone burst into a chorus of "Happy Birthday." Wow. That was unexpected, but such a nice feel-good gesture. Did I mention it was my birthday? 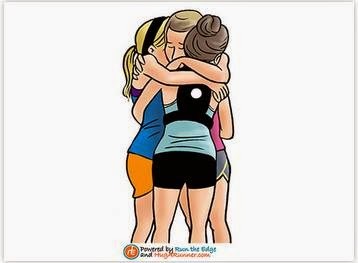 Or that I LOVE my runner friends? Some of us stuck around and went to the post-race party for awhile. 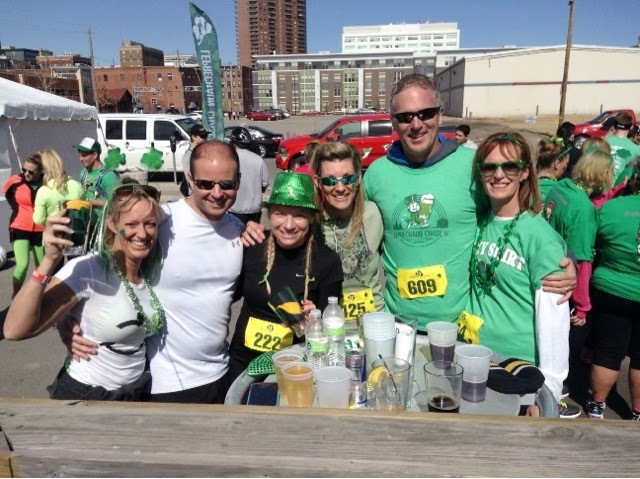 After all, the Lads in our midst had earned a free green beer. Also, we received our printouts from the race...and Barb had placed third in her age group! So, a celebration was in order at the awards ceremony! Yay for Barb! Third place in her age group! We hung out for awhile at the party and chatted about running, training, and upcoming races. We also made plans for future races and get-togethers. After all, isn't that what runners do when they meet other runners at post-race parties? Upon returning to town, Barb and I took a minute to change clothes...then headed out for another 3.14 miles, in honor of Pi Day. It's become a birthday tradition for me to run 3.14 miles on my birthday each year. I was honored to have a friend join me. 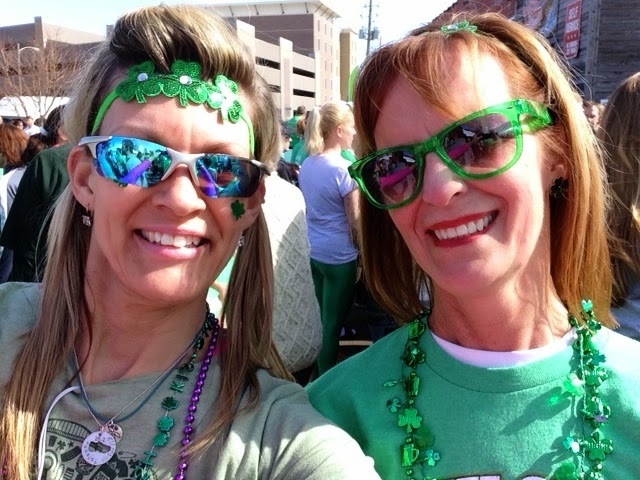 The 3.14 miles felt a little stiff (don't forget, it had been a few hours since we'd run the 10K, spent time at the party, and then the hour-long car ride home). But I played with the new watch and got the GPS feature to work this time. Maybe there's hope for me with technology gadgets after all. There you have it! My Pi run stats! 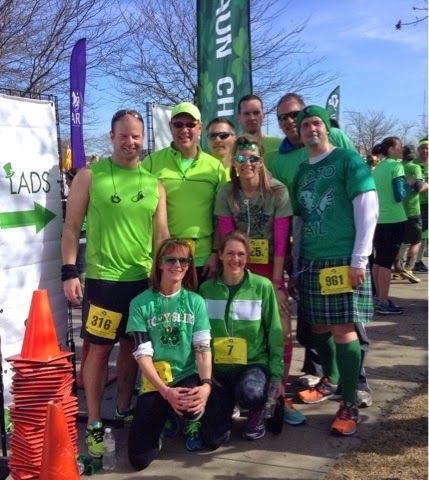 The 2015 Leprechaun Chase was a fun event, even with the muscle tightness and frustrations. It's fun being with friends and doing what we love together. Celebrating each others' accomplishments is just an added bonus. My official finish time wound up being 54:42...which is a course PR for me. Not a new 10K PR, but a decent finish time none-the-less. I placed 8th out of the 46 other gals in my age group, 124th out of the 740 women who raced, and 339 out of the 1131 total people. I'm good with that. I know I'm capable of doing better, especially under different circumstances, so I'm OK with not doing "better" every single time I run. Life is good. 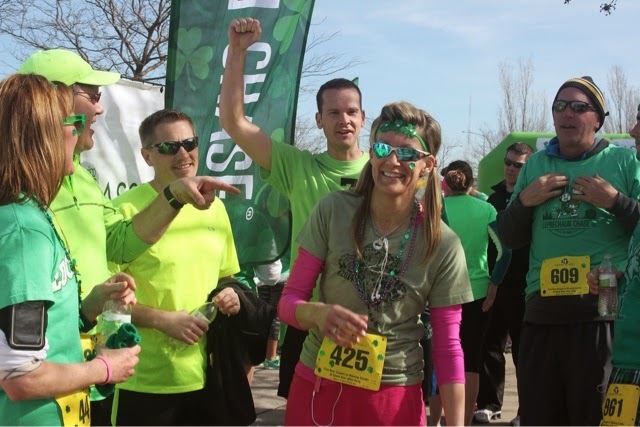 Have you ever done a St. Patrick's Day-themed race? Ever dressed in costume? Do you ever struggle with technology? Who is my Ultimate Competitor? Who should I really be competing with? This has plagued me from Day 1 of my running "career." All of these fellow racers toeing the line with me, all from varied life experiences, genetic lines and training regimens...are any of them actually realistic competition for me? ---Someone who has similar (if not exact) athletic ability as you. This person (if they even exist) will be very difficult to find. Having a similar genetic composition as you will ensure neither of you will have an unfair advantage (or disadvantage) when it comes to a long line of Olympic sprinters (or endurance athletes) to either capitalize on any natural abilities or coaching expertise. Yes, I'm playing the genetics card here. 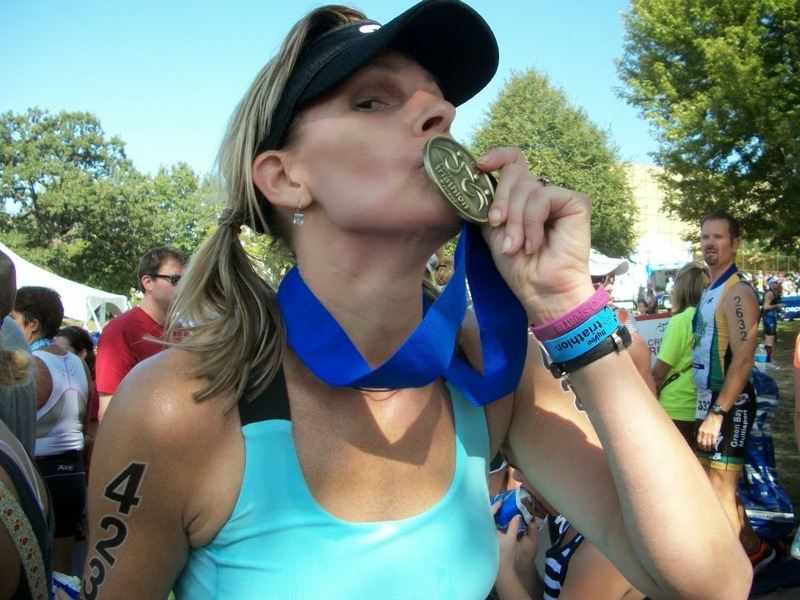 Like it or not, some runners are just more naturally gifted than others. Some can hold a 5:30 pace (easily) for a 5K, and others have to give it their all (or nearly die trying) to finish the same distance in twice the time. Neither is better (or worse) than the other, so it is foolish to compare their talents. ---Someone who has similar (if not exact) physical features as you. Genetics play into this as well. Two runners of different heights (in other words, who probably have legs of different lengths) will have to work differently...the taller one will probably have a longer stride (thus needing fewer steps to cover ground), and the shorter one will need to take more steps (but will have less "leg" weight to propel with each step). Does this all balance out? Not really (but it would be nice if it did). Also, keep in mind, being the same height does not guarantee they will share the same length of legs (not all torsos are created equal, by the way). And I haven't even touched on the body weight issue...people of equal heights quite often are not of the same weight, body fat percentage or muscle tone. ---Someone who has similar (if not exact) feet as you. I know, more genetics. As we are all created differently, so are our feet. And, most of us do not have feet that are symmetrical....they can vary slightly (or greatly) in size as well as shape, pronation, or arch length/height (just to name a few). 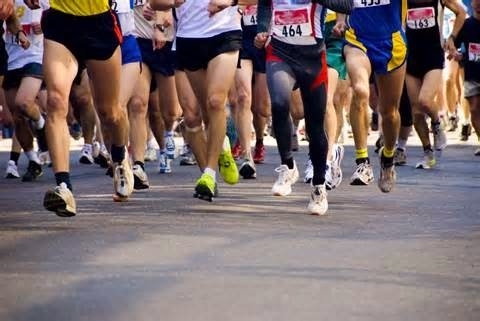 This factors into how each person runs. 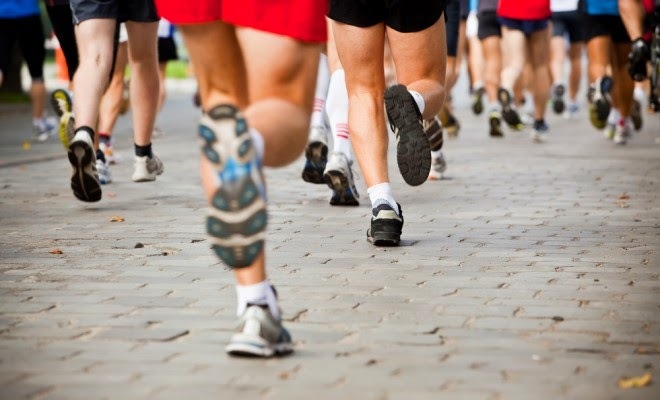 This goes hand-in-hand with the whole running shoe thing....as there are many different kinds of feet in existence, there are just as many different types/styles of shoes to fit them. So, if you do find that one person whose feet match yours, make sure you buy the exact same brand/style of shoes, preferably from the same store (to ensure the shoes come from the same warehouse) and on the same day (so you will have equal time in them). ---Someone with a similar (if not exact) training plan. This will be the most challenging thing to match up with someone else. Why? Because for every runner, there is a different desired method of training. All of us are created differently, and so are our preferences. Keep in mind their running history (Have they been running as long as you, or longer?). Is this particular event one they have raced before? Did they start their training on the exact same day as you? Did they follow the same plan (same weekly miles, same speed sessions, same cross-training, same diet)? Did they encounter any injuries while training (if so, hopefully they experienced the same injuries as you), or have they been injury-free? ---Someone with a similar (if not exact) family and/or social life as you. Kids are big obstacles (in a very GOOD way) in training for a race, as are family and social obligations. There will be times when scheduled training runs may need rescheduling due to non-training events (vacations, dinners out, children's activities, etc.). And, let's not forget friends! Friends are a vital part of our well-being, and they deserve our time and attention as well. If you repeatedly neglect your friends (due to a "more important" training schedule), they will not be your friends much longer. The runner who is constantly training 24/7 may have an unfair advantage over those who occasionally choose other activities, so be mindful of choosing someone whose lifestyle is comparable to yours. ---Someone with a similar (if not exact) competitive drive. Some people thrive on constantly trying to run faster and further than other runners, some simply enjoy the passion of the sport in and of itself. Trying to compete with others who are not in sync with your level of competitiveness will frustrate you to no end....you will either resent the other person's constant "need" to always finish ahead of you, or (conversely) you may think the other is not taking the sport seriously. So.....do any of these "someones" exist? Probably not. No two runners have the same experiences (in running or in life). Also, very few share the same attributes, goals or priorities in their everyday existence. 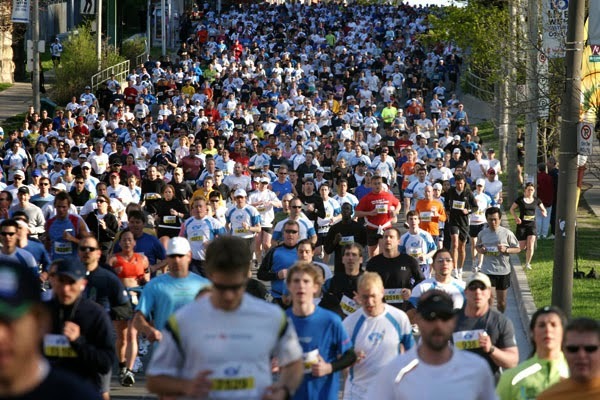 Go ahead, race with other runners, but compete with yourself. Be mindful that all runners are not created equal, so they shouldn't expect equal results. 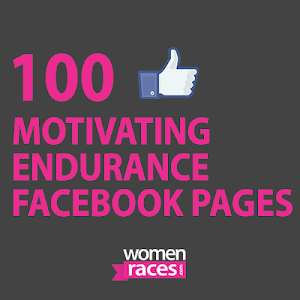 And, bottom line, run for yourself and support your fellow runners. Celebrate their victories as well as your own. Running is a privilege, be thankful you're able to do it. What do you think? Have you ever tried to compete (intentionally or otherwise) with someone who had different aspirations? Have you ever felt like the one being "competed against?"